Although converged Infrastructure (CI) gives organizations a single, optimized package of components to run core enterprise workloads like SAP, Oracle, and Microsoft SQL Server, your choice in CI tooling can result in better or worse efficiency of storage, administrative productivity, flexibility and so forth. 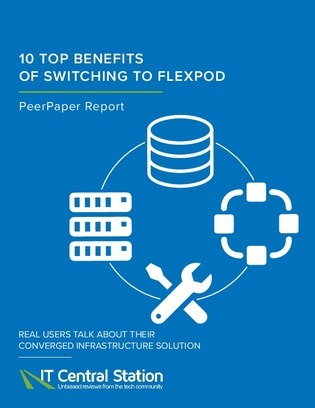 Based on feedback from real users, this report explores the top 10 tangible benefits of investing in a converged infrastructure solution like FlexPod, versus a traditional infrastructure stack. Learn more here.